It’s time for another new episode of the Second Ave. Sagas podcast, and I’m very excited about my guest this week. Joining me during his farewell tour for his Signal Problems newsletter for a long discussion on all things covering transit is Aaron Gordon, a familiar name in these parts. Gordon picked up the transit beat a few years ago with The Village Voice and launched “Signal Problems” as part of his ongoing coverage. He’s spent countless hours digging into faulty signal timers, the ongoing L train repair mess, and ferry ridership, among others. Now a writer with Jalopnik, Gordon is retiring his newsletter shortly, and the transit beat will be poorer for it. Gordon and I sat down for a long discussion over the weekend, kicking things off with a conversation on Andy Byford’s future, and we covered the slow-motion improvements as Byford works to improve the system while navigating a thorny governor. We also talked about covering transit, frustrations with the FOIL process and the experiences a transit beat writer can enjoy riding along with the speed limit test train. You can listen to this week’s episode via the player below and the popular spots — iTunes, Google Play, Spotify, Pocket Casts and your favorite podcast app. If you like what you hear and have been enjoying the podcasts, leave a review on your favorite podcast site. As always, thanks for listening and thanks as well to Joe Jakubowski for sound engineering. I can bring the podcasts to the public thanks to contributions from my readers so please consider joining the Second Ave. Sagas Patreon. As always, this site runs entirely on Patreon contributions, and I can keep it going with your help. In the week following Albany’s approval of congestion pricing, I wrote a piece for Curbed New York warning against an exemption-laden plan. The argument is a simple one: Small carve-outs can have a big impact on the effectiveness of both the revenue generation and traffic reduction pieces of congestion pricing, and the Traffic Mobility Review Board tasked with formulating the fees and structure of the plan should resist the political pressure and lobbying over fee exemptions as it works to formulate a plan throughout the next eighteen months. Already, we’re seeing this lobbying unfold in predictable ways. Unions representing police officers have laughably called for a blanket exemption for all personal vehicles of any NYPD personnel stationed within the congestion pricing zone. Considering cops are the biggest offenders and non-enforcers of NYC’s traffic and parking laws, this demand hardly comes as a surprise, but it should be resisted at every turn. We’ve also seen New York politicians undercut the goals of congestion pricing by securing legislatively-mandated toll rebates for certain constitutions, and I’ll come back to that shortly. I instead want to focus on the reaction from New Jersey and how it underscores the way in which local politicians treat transit riders as second class citizens even when they far outnumber drivers. New Jersey leaders have been making noises about congestion pricing for the past three weeks. We first heard Gov. Phil Murphy complaint reported by The Wall Street Journal a few weeks ago. The Garden State governor is worried — worried! — that congestion pricing will cause New Jersey commuters to abandon their cars and use transit (which is of course the point), and he’s also worried congestion pricing will make traffic worse. “The solution cannot be one with the unintended consequences of making traffic worse and increasing reliance on the regional rail partners without their receiving additional support,” he said a few weeks ago. The mayor of Jersey City suggested that New Jerseyans should toll New Yorkers entering their state. A congressman is calling for federal legislation to guarantee that drivers — who already pay tolls to cross between the states — are not charged twice. Others believe a lawsuit could be filed to stop the tolls. “We are a little confounded about why suddenly New York would turn around and take a two-by-four to New Jersey,” said Representative Josh Gottheimer, a Democrat who represents a slice of New Jersey suburbs near Manhattan and plans to introduce a bill he hopes will pressure New York to give his state’s drivers a break. Fitzsimmons also tracked down some New Jersey-based Facebook commenters who have “threatened” not to drive into New York City any longer (which is, of course, the point). In a way, it’s quite the tempter tantrum from our neighbors to the west, but it also underscores how politicians view their constituents primarily as drivers and then secondarily, if that, as transit riders. In each case, these politicians object to an additional fee being levied on drivers and seem to focus on transit investment as an after-thought. That’s not the right way to look at things. Considering these numbers, why are New Jersey politicians being so blind to the benefits of congestion pricing? By limiting the number of cars that enter Manhattan, the hundreds of thousands of New Jersey residents who rely on buses will have shorter trips into the city, and the surrounding communities will see less pollution due to fewer cars, say, on the Lincoln Tunnel helix or jammed throughout the streets of Weehawken. Plus, most of these New Jersey residents then have to use New York City’s streets and its transit network once they arrive in Manhattan, and these commuters and visitors will continue to enjoy the benefits of increased New York City transit funding and fewer cars on city streets. These people count, and they are more of them. New Jersey politicians would do well to remember that as they fight against a rational congestion pricing. Ultimately, New York City does not exist as a place for New Jersey drivers to have unfettered free access to limited city streets. New York City and New York State can determine its own transportation and transit future, and if drivers form Missouri have to pay, so too must drivers from New Jersey who make the choice to drive into Manhattan. But that doesn’t mean New Jersey can’t do anything. I’m somewhat sympathetic to the claim that New Jersey’s own transit system may not be able to handle increased passenger loads due to mode shift following implementation of congestion pricing in early 2021, but that’s also a good 20 or 21 months away. New Jersey has plenty of time to get its house in order. It can reconfigure lanes heading into the Lincoln Tunnel to ensure buses have more space and priority. It can also begin the process of building out its PATH service and tackling the problems with New Jersey Transit. But it must focus on bolstering transit and not being overly protective of drivers. For years, regional transit wonks have tried to raise alarms over New Jersey’s approach to spending transportation dollars. When governor, Chris Christie shifted millions away from rail and New Jersey Transit to widen the turnpike and engage in other road-related work. It’s not New York’s responsibility now to fund New Jersey’s transit deficits, and if the Garden State politicians are concerned about capacity and reliability constraints, they need to start working on these issues today while congestion pricing is in the planning stages. Ultimately, if NJ Transit fails to meet demand in a post-congestion pricing world, that blame will fall squarely on the shoulders of politicians who aren’t listening when there’s still time to act. Threatening federal action or imposing higher user fees on New Jersey roads as revenge seems laughable, but at the least the latter could be a rational step toward funding New York’s transit investments. Unfortunately, our own governor seems amenable to negotiating with New Jersey on some limits on the impact of the fee, and New Jersey’s State Senate President Steve Sweeney appeared to back that up in a statement. “After conferring with Governor Cuomo on the MTA’s efforts to implement Manhattan’s central business district tolling, I am confident that we will have a voice in the process that will allow us to protect the interests of New Jersey’s motorists. We will work in a coordinated way with the MTA, New York State, the Port Authority of New York and New Jersey, and with other jurisdictions to develop a fair tolling system,” he said. 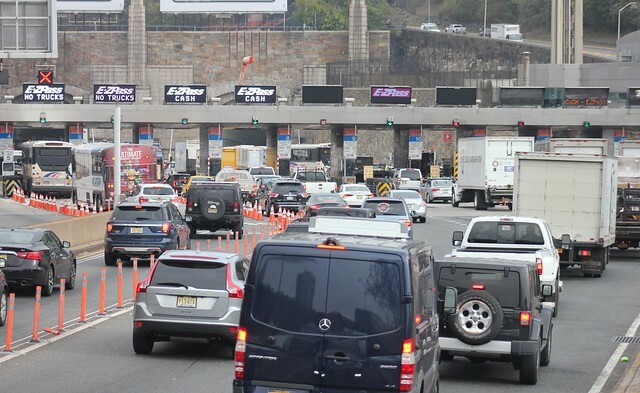 Whether it’s an elimination of a potential double-tolling scenario for drivers using the George Washington Bridge and heading south or a waiver related to tunnel usage, exemptions should be resisted. If New Jersey drivers want to use New York City streets, they can pay to do so. That is, after all, the entire point of congestion pricing. While New Jersey is raising the biggest stink right now, they’re not the only ones making moves to limit the impact of traffic-reduction fees. Assembly rep. Jeffrey Dinowitz announced a full rebate of all Henry Hudson Bridge tolls for any Bronx resident regardless of whether the final destination is within the congestion pricing zone or not. This is a mistake, and it’s designed to encourage more driving at a time when New York City needs to limit auto usage for both environmental and productivity reasons. Certain Queens drivers are getting toll breaks as well, and politicians are pushing for exemptions for motorcycles, so-called “green” cars, Staten Island drivers and Queens residents (as I explored in my Curbed piece). Congestion pricing and crafting the proper plan was always going to devolve into a tough political fight, and we’re seeing the contours of it take shape. It would serve politicians well to remember that even if a few people have to pay the fee, the benefits — and the number of people who enjoy those benefits — far outweigh this new cost. As the climate changes around us, we don’t have time as a society to waste arguing over the edges of a congestion pricing fee, and as a city stuck in a transportation rut, we need to clear streets of cars and repurpose them for a higher and better use while funding transit. That’s what congestion pricing does, and exemptions should be resisted. When the MTA Board begins its meetings on Monday this week, the Capital Program Oversight Committee will hear its quarterly update on East Side Access, and for the most part, the project seems to be humming along. The opening date for the long-awaited arrival of the Long Island Rail Road into Grand Central remains on pace for December of 2022, and the project seems to be adhering to its re-basedlined $11.2 billion budget. At a top level, project management seems to have improved as change order requests and processing times have dropped while the heavy construction work — including the complicated Harold Interlocking rebuild — is proceeding apace. At this point, work on the last heavy contract has begun, and testing will begin in earnest later this year. 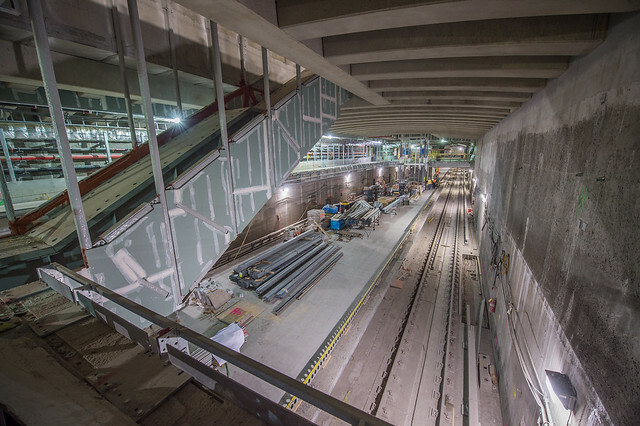 East Side Access remains a boondoggle amidst New York City’s recent spate of 21st Century boondoggles, but with recent estimates showing the work is approximately 80-85% complete, it’s a boondoggle with an end in sight. It is, thus, awfully strange that Gov. Andrew Cuomo, in his ninth year in office, has decided that now is the time to review the East Side Access project in an effort to speed up completion. He’ll yet again turn to his trusted panel of Columbia and Cornell engineering professors who threw the L train work into chaos, but the Governor’s ultimate end goal — another project for which he can attempt to play savior? A ribbon-cutting before his next reelection campaign? — remains elusive. Let’s try to unpack it. For purposes of an independent review of the project commonly referred to as “East Side Access”, the metropolitan transportation authority shall establish an outside expert advisory group to review such project and make recommendations to accelerate its completion. Such outside experts shall include members of the outside independent review team established to review the project commonly referred to as the “L-train project”. Such review shall be completed as soon as practicable for consideration by the metropolitan transportation authority board. That’s the entirety of the mandate. It involves once again gathering a panel of local academics who may or may not have expertise in the management and scoping of a massively-complex, multi-year, multi-billion dollar project and asking them to overhaul the whole thing with a decade into construction and with just 15 percent of the work left. To say this is shutting the barn door after the horse escapes is an understatement. At this stage, it’s worth noting that ground-breaking for East Side Access in its current iteration was held in 2007, and while parts of the tunnel had been built in the 1960s and the project had been in the discussion and planning stages on and off over the decade, I’m not sure it’s accurate to say it’s taken 50 years of work to get to where we are today. It’s taken over 20 years though from when then-Senator Al D’Amato and then-Governor George Pataki began to pressure the MTA to plan for the project and helped fund the initial assessments and engineering work. That by itself is far too long, and Cuomo could make his point effectively without bending this timeline. But I digress. Over the next four years, I am willing to put my name on the line and tell you exactly what we are going to get done…East Side Access is going to be open or you can bury my heart in the East Side Access. Whether the governor’s last line on East Side Access is a promise or a threat remains to be seen. What is true though is that Cuomo’s tortured attempts at proving a point aren’t accurate. Cuomo’s own MTA continues to assert that East Side Access will open in 2022 when Cuomo, who currently has no grandchildren, will still be the governor. It won’t be in 2040 or 2030. The end, as we can see from recent photos, is literally in sight. So what’s going on here? To address that question, let me teach a quick history lesson. As long-time readers know, the tale of East Side Access (which you can peruse via my archives) is one of poor project planning and management. The MTA initially projected costs at $4.3 billion with a completion date of 2009 if construction began promptly after scoping documents were prepared in 1999. Costs grew as the start of the project was delayed, and when funding came through in 2006, the agency estimated it would cost around $6.3 billion and be finished in 2012. Clearly, the executives at MTA Capital Construction, who are now long gone from their jobs, never really knew what they were talking about in the early going. The project hasn’t fared much better since work began as unanticipated complexities and a lack of inter-agency coordination plagued work from the start. The timeline slipped from 2012 to 2016 to 2019 and finally to 2022 while the budget increased rom $6.3 billion to $7.3 billion to $8.3 billion to $9.7 billion to $10.2 billion to its current price tag. Newsday ran down the cost estimates and timelines last year, and it is a textbook example of bad planning. No one will ever make the mistake of defending East Side Access. As I wrote last year at around this time when I examined the increasing costs, this project wouldn’t stand up to a fresh cost-benefit analysis, and the no-build option would have been chosen had costs been scoped properly from the outset. The feds wouldn’t have funded it, and the money would have been put to better use in New York. “The MTA has gotten away with capital construction larceny here, and no one in Albany has raised a hand to question the worth of this project at any point in the last decade. It is a failure in construction management and a failure in politics as scarce transit dollars flushed into the deep-bore cavern below Grand Central time and time again,” I wrote last year, and I stand by it. Why then am I skeptical of Andrew Cuomo’s motives here? Is it because anyone watching for the last nine years should have an inherent distrust of Cuomo’s relationship to transit and his willingness to abuse the MTA to make him look good? Of course. Construction on East Side Access began just over 12 years ago, and Governor Cuomo has now been New York’s chief executive for nearly 75 percent of the construction life of East Side Access. Since Cuomo took office and assumed responsibility for the MTA, whether he wants to admit it or not, the construction timeline has slipped by six years while costs have increased by nearly $4 billion. The first thing Cuomo should have done on East Side Access when he took began his first term on January 1, 2011 was order a full-scale top-to-bottom review of the project. Instead, he sat on it for over eight years as project timelines slipped and costs ballooned by almost 55 percent. Now, Cuomo is on the verge of pulling a Second Ave. Subway on East Side Access, and it’s obvious how this will play out. The experts will conduct their review of the project and recommend some accelerated concurrent testing plan that will likely add to the costs while Cuomo can celebrate a ribbon-cutting prior to his next reelection campaign in 2022. The MTA will have to spend more money to meet the Governor’s timeline, and the proper post-mortem, one that explores how the MTA whiffed so badly on its initial scoping for East Side Access, why the agency couldn’t properly manage this project for over a decade and how we can avoid repeating these mistakes on, say, future phases of the Second Ave. Subway or Penn Station Access or Gateway or any number of badly-needed infrastructure projects, won’t happen. Ultimately, then, that’s Cuomo’s transit legacy in a nutshell. When it’s too late to enact real reform and push for a transparent overhaul of clearly faulty project scoping, construction management and contracting practices, Cuomo steps in to gain headlines and photos for electoral benefit. That’s not reform; that’s manipulation. He did it with the Second Ave. Subway, and with the assist of Columbia and Cornell Universities, he’s going to do it again on East Side Access. New York City, stuck a precipitous moment in its infrastructure history, deserves better, and better should begin with a real assessment of everything that went wrong with East Side Access. This maneuver is not it. Welcome back to another installment of the Second Ave. Sagas podcast. Joining me for Episode 2 is John Raskin, executive director of the Riders Alliance, a grassroots advocacy group pushing for better transit. The Riders Alliance was a key member of the #FixTheSubway coalition pushing Albany to approve congestion pricing, and the group celebrated a big victory last week when congestion pricing finally earned legislative approval. In this week’s episode, Raskin talks about his group’s role in lobbying for transit funding and what comes next as the fight over a traffic fee shifts from passage to proposal. Attention will shift to the six-member Traffic Mobility Review Board, tasked with formulating the fee structure and assessing whether any exemptions should be granted. As Raskin discusses, the advocates’ work is far from over, and ensuring a robust pricing plan that delivers on its promises to limit congestion in New York City while funding the work needed to improve the transit network is a job far from over. You can listen to this week’s episode via the player below and the popular spots — iTunes, Google Play, Pocket Casts and your favorite podcast app — should update by Wednesday morning. If you’re enjoying the podcasts, leave a review on your favorite podcast site, and please consider joining the Second Ave. Sagas Patreon. This site runs entirely on reader contributions, and I can keep the podcast going only with your help. A big thank you as well to Joe Jakubowski for his production work on the podcast. One of the greatest trick Bill de Blasio’s administration ever pulled was convincing New Yorkers that the ferries were a legitimate form of mass transit, worthy of hundreds of millions of dollars of taxpayer subsidies as the subway and bus system collapsed around them. Now, after years of hiding spending, costs and ridership demographics behind the frustratingly opaque New York City Economic Development Corporation, rather than tasking the city’s public-facing Department of Transportation with running the boat network, the administration is finally taking heat for the ferry system. A recent report by the Citizens Budget Commission detailed how the ferry subsidies reach nearly $11 per ride and could spike to up to $24 per passenger on future planned routes. The city’s Comptroller Scott Stringer has also recently blocked city spending on boat acquisition, and with policy wonks turning a skeptical eye toward the costly ferries, the future of public spending on a little-used and costly boat network that seems to serve well-off neighborhoods that already have transit service may be in doubt. For this ferry skeptic, it’s a reckoning that can’t come a moment too soon. My love-hate relationship with Mayor de Blasio’s ferry system is hardly a secret. I first cast a doubting eye on the mayor’s plans for a five-borough ferry system in early 2015 when, quaintly, the cost estimates included just $50 million in capital money and a $20-$30 million annual operating subsidy, two figures that would be a good deal today. At the time, I tried to fix his proposal, suggesting higher fares (and thus lower subsidies, a point to which I’ll return later). My pleas fell on deaf ears, and the mayor went forward with his ferry system as costs ballooned. When I wrote a piece for Curbed questioning the usefulness of a specialized low-capacity ferry service, subsidies were $6.60 per ride and capital costs nearly half a billion dollars. It’s only gotten worse from there. While my incessant harping on ferries has earned me the reputation of a hater, I take little joy in being right about the wasteful spending, especially at a time in which transportation dollars are at a premium and high-capacity, lower-cost solutions are obvious. I believe there’s a narrow path toward rescuing the ferry system, but it’s one that relies on choices that will result in higher fares and fewer year-round routes. But let’s dive in. The sharp increase in summer ridership is driven primarily by additional weekend travel. Weekend ridership, consisting predominantly of trips for leisure, is more responsive to seasonal trends than weekday ridership.12 Most of NYC Ferry’s weekend ridership accordingly takes place in the summer. During summer months weekend trips make up 40 percent of NYC Ferry ridership, up from 21 percent during the winter. 13 (Overall weekend ridership on NYC Ferry is higher than that of its peers, with weekend trips accounting for 33 percent of ridership compared to 22 percent on the Staten Island Ferry and 15 percent on the private ferries.) This extreme seasonality is also a byproduct of NYC Ferry’s comparatively small base of regular commuters. EDC’s strategy to address the extreme seasonality of NYC Ferry’s ridership also has increased operating expenses and subsidies. NYC Ferry has struggled to meet its on-time performance target of 94 percent when ridership peaks in the spring and summer months, particularly on the Rockaway route.15 In response EDC has paid to charter additional vessels to add capacity to meet peak summer demand, rather than increase fares to reduce demand. While this improved on-time performance on some routes, it also increased operating costs and subsidies. The decision to place NYC Ferry under EDC has created redundancies within City government. DOT sets transportation policy and operates the country’s largest municipal ferry service; EDC’s role historically has been to manage piers and waterfront properties and to oversee private ferry companies that operate in New York City waterways, including managing the operations of the East River Ferry that preceded and was integrated into NYC Ferry. The original operating agreement with Hornblower anticipated EDC’s role in NYC Ferry would be limited to managing the on-shore infrastructure and setting the fare and service levels–tasks within EDC’s core competencies and the scope of its Maritime Contract. Subsequently, EDC has expanded its responsibilities, primarily by exercising its contractual options to acquire and expand the NYC Ferry fleet and to build a City-owned homeport. Going forward, EDC and DOT will own and operate separate ferry fleets. Second, funding NYC Ferry through EDC rather than through the City budget limits the ability to track the dollars allocated to ferry service and to exercise oversight. DOT’s expense budget for the Staten Island Ferry, for example, includes detailed operating and maintenance data, including headcount and spending on personnel, contractual services, supplies, fuel, and other expenses. Similarly, the Mayor’s Management Report tracks indicators that tie back to these expenses. In contrast, NYC Ferry is not funded through general fund revenue appropriated through the budget process, and EDC is not required to report detailed operating or budget data about its ferry service. EDC funds NYC Ferry’s operations through an arrangement in which the Mayor allows EDC to retain a greater share of the revenue it generates from operating City-owned commercial properties than is expressly allowed under its contracts with the City. While the City Council must approve any capital spending, paying for NYC Ferry’s operations through EDC means that its operating budget is not subject to City Council review. This funding model also differs from the operations of the now-defunct East River Ferry service, which was subsidized from the City’s General Fund. In essence, the Citizens Budget Commission doesn’t believe the current system is transparent, sustainable or a good use of transportation dollars. “[The] ferry network,” the report concludes, “serves a small number of New Yorkers, is expensive to operate in part to support leisure-oriented travel, and requires a high subsidy that will grow higher to extend service to Coney Island and Ferry Point. Reviewing the system’s costs and subsidies through its first full year of operations should prompt consideration of whether maintaining the same operating strategy, pricing model, and expansion plans will be the most efficient and most effective use of city transportation funding.” They’re almost being too kind. I disagree with the analysis to begin with because I think it’s a very short sighted analysis. I appreciate the Citizens Budget Commissioner, I think they’ve done some important work over the years, but I think they have a fatal flaw. They often misunderstand the value of government investment for the long haul and this is a government investment for the long haul. Let me sober everyone right here, Brian, 8.6 million people today. We’ve added half a million people over the last 15-20 years. We’re going to add another half million people over the next 15 to 20 years ahead. Anyone who thinks our existing transit system can handle all of that is someone who thinks marijuana is already been legalized in New York State and is smoking some. The fact is it is impossible to do what we have to do with the city if we don’t expand mass transit options. It’s something else to hear the mayor claim that anyone who criticizes his boats must be high on marijuana, but that’s the city we live in these days. The mayor urged critics to talk to ferry riders — which is besides the point — and also claimed that delivering a one-fare option via a transfer to MTA-operated buses or subways would drive up ferry usage. Such a relationship would also require the city to reimburse the MTA for lost revenue, leading to even higher per-passenger ferry costs, and the biggest boats in the fleet max out at 350 passengers, hardly a high-capacity system. The mayor’s defense is a flimsy one and ignores the substance behind a critique of what is in essence a low-cost, niche transit system (that largely benefits those who live in watefront condos and want to avoid the subway). Doesn’t this exacerbate, rather than solve, NYC’s tale of two cities? Meanwhile, NYC Comptroller Scott Stringer (and a likely 2021 mayoral hopeful) used the report and a subsequent story in The City on the high cost of boat acquisition to call for a city takeover of the ferry system. At this point, clear battle lines have been drawn around the ferries. Ridership isn’t substantial or persistent enough for politicians to cower in fear over challenging the costs of the system, and while the mayor is committed to building out the routes the CBC has highlighted as particularly cost-inefficient, he’s in office for only two more years. The 2021 mayoral race will, in way or another, include jockeying on ferries, and as the current candidates appear to be more attuned to the transit needs of New York City than de Blasio has been, half a billion dollars in ferry spending and constant subsidies with diminishing returns will likely be on the chopping block. The city can and should spend this money to bolster bus service and a bike share system, two transit modes with far higher usage numbers (let alone pollution impacts) than ferries. EDC and City officials can take actions to improve the system. The high rate of leisure travel offers an opportunity to charge higher fares on weekends and for noncommuters to offset the cost of subsidies for daily commuters. Other premium transit options, like the private ferry services and the MTA express bus service, charge higher fares that are commensurate with their operating expenses. Other services use dynamic pricing that increases along with demand. When it was a standalone service, the East River Ferry charged a higher fare on weekends, which allowed it to recoup a larger share of its operating costs than NYC Ferry currently does. Private ferry operators offer limited weekend service because it is not profitable. Dynamic pricing models could be more appropriate for long, low-productivity routes that require substantial subsidies and see demand spikes on weekends. A different fare structure could also mitigate the need to charter vessels or purchase larger boats. Ultimately, though, the ferries offer a lesson in government transparency: The EDC has long resisting calls (and FOIL requests) to release ridership data and demographics information. Capital costs continue spiking without City Council oversight, and the mayor’s response is catty defensiveness on the radio. That’s not a prescription for sound transit policy at a time when mobility is under scrutiny. The city should charge more for ferries, reducing the subsidies and freeing up taxpayer money for transit investments with a higher return. Until then, the ferries are simply a giveaway masked as whatever the mayor thinks passes for transit. More than a decade after a backroom deal in Albany shelved Mayor Bloomberg’s congestion pricing, New York City will finally be able to price private automobile access to Manhattan south of 60th Street as the Senate and Assembly passed a budget early Sunday morning that includes authorization for congestion pricing to fund the MTA. The vote makes New York City the first in the nation to implement traffic pricing, and the move should help clear up Manhattan’s congested streets while funding Andy Byford’s Fast Forward plan to modernize the subway system. Nick Sifuentes, Executive Director of Tri-State Transportation Campaign, echoed those sentiments: “At long last, we’ll start to get our city moving again and make both crippling traffic congestion and constant subway breakdowns a thing of the past. Yet, while advocates have worked tirelessly to push this weekend’s approval across the finish line, the hard work has only just begun as the devil will be in the details. The budget legislation that approved congestion pricing did not provide details of the plan. Rather, it mandates the aforementioned Traffic Mobility Review Board, a new six-member board under the auspices of the Tri-Borough Bridge and Tunnel Authority, develop the pricing plan, and already politicians are angling for exemptions and carve-outs that would water down the effectiveness of it all. Mayor Bill de Blasio conditioned his approval, infuriatingly enough, on the amorphous guarantee that the pricing plan would include carve-outs. In press appearances and conversations with Brian Lehrer, the mayor has constantly pushed for the idea of exemptions for various people he feels must drive into Manhattan, and while access to the East Side hospitals should be a consideration, congestion pricing will live or die on the limited scope of the carve-outs and the rigorousness with which they are enforced. I’ve expressed concerns about the overall framing of this congestion pricing push and have cautioned against treating congestion pricing as a solution to traffic and transit together. We need congestion pricing. It will help clear up our roads, but it must come with a pre-implementation guarantee of additional transit service in areas without robust subway access. I worry that treating it as a fix-all for transit funding and for the subways is overpromising on much needed benefits. Furthermore, as Gelinas pointed out on Sunday, the Traffic Mobility Review Board seems primed to hand over significant control of local New York City streets to suburban legislatures, a potentially damaging mistake that could harm the successful of comprehensive congestion pricing. An MTA reorganization plan issued by the agency by June, which is off to an auspicious start as the MTA recently gave away the deal to a contractor in a no-bid $2 million contract. A long-awaited forensic audit and efficiency review. The Cornell and Columbia professors who have limited expertise in MTA capital construction will review major projects. A 20-year capital needs assessment beginning in 2023. For what it’s worth, the MTA usually issued a 20-year needs proposal every five years to coincide with the capital budget, but we have yet to see one this year. Increasing the competitive procurement threshold to $1 million (from $100,000) to speed up the contracting process. MTA Board appointees that are coterminous with the tenure of the official appointing the board member, a move that favors the term limit-free governor over the term-limited mayor. A requirement that any Capital Program Review Board member who does not approve of the MTA capital plan issue a written explanation for their veto, and provide the MTA the opportunity to respond and revise the plan so the member may withdraw their veto. Ands I mentioned, good governance groups are not happy with these proposals. Reinvent Albany dissected the plan in February and aired additional criticism over the weekend after the MTA reforms were essentially approved, debate-free, during a late-night budgeting session. “As a lifelong rider – and a daily customer – of the MTA, I can think of no higher honor or more important challenge than serving at the helm of an agency that connects millions of people each day to their jobs, schools, families, and friends. There is no question that we have a great deal of work ahead of us, to bring truly innovative and meaningful reform to the agency and provide the service and system New Yorkers deserve. Cuomo’s other MTA Board appointments are in a similar vein. Cuomo named Haeda B. Mihaltses, currently the Mets’ Vice President of External Affairs, to the Board. Mihaltses spent 12 years in the Bloomberg administration and worked for Peter Vallone before that. She replaces Peter Ward, a 2016 Cuomo appointee, and will be a fine Board member. But I chuckled at another Cuomo appointee named last week. Also joining the MTA Board will be a new representative from Suffolk County as holdover Mitch Pally has been replaced by Kevin Law, president of the Long Island Association. Pally was a 14-year vet whose last term expired in 2016 as well and had pushed the MTA to avoid its upcoming fare hike. David Mack and and Sarah Feinberg, a Federal Railroad Administration official during President Obama’s tenure, joined the Board in recent weeks as well. Mack, who has a history with Cuomo and the MTA. fills Nassau County’s empty seat while Feinberg replaces Schott Rechler. Rhonda Herman was named as Westchester County’s rep which may bounce Andrew Saul from the Board. With the recent departure of Carl Weisbrod, I believe that gives the mayor the chance to suggest a new board member as well. Ultimately, this was a good week for New York City and a good week for MTA funding. We wasted a decade spinning our wheels on congestion pricing and still have to push through a properly limited plan to ensure it isn’t captured by special interests, but New York City’s streets will finally be priced. Congestion pricing can only improve from here. Where things stand with MTA reform and governance is an open question. Gov. Andre Cuomo, barely a friend of transit, continues to assert his control, as is his right, but it seems unlikely his plans will actually fix the MTA or its inefficient cost and construction problems. For that, we may just need a better governor, a more forceful mayor and a new way to approach transit governance that does not rely so heavily on loyalists and donors. As part of my Patreon and the push to make this site reader-funded, I promised to bring back the Second Ave. Sagas podcast. Though we haven’t quite hit the funding goal yet (and we can get there with your help), the podcast is returning. Last week, in the wake of his ambitious proposal to return the subways and buses to city control, I sat down with City Council Speaker Corey Johnson to discuss his plan. He’s my guest for the first episode of the new podcast. We talked for about 45 minutes about the ins and outs of the plan, the political reception from the governor, and how Johnson feels it could be the centerpiece to a potential mayoral campaign. I’ll have more commentary on this interview shortly, including more thoughts on Gov. Cuomo’s tepid and sarcastic response, and for people who join the Patreon, I will post a transcript as well. In the meantime, give it a listen. As a note, I’m still waiting for the iTunes approval to come through but you can find it here on Pocket Casts or grab the feed directly. You can also download it via the link above or listen via the player embedded on the site. I’ve been investing in new audio equipment so future episodes will sound even better. A big thank you to Joe Jakubowski for sound engineering this episode. I’m excited to have the podcast return and hope you enjoy it. The MTA Board materials focused last month on new Access-A-Ride vans, and this weekend, the agency announced an expansion of the popular on-demand e-hail program. One of Andy Byford’s signature initiatives over the past year has been an increased attention on ensuring New York City has an accessible transit system. Last week, I delved into the legal fight over station accessibility and how a recent court case could rightly force the MTA to pursue an aggressive plan to install elevators throughout the subway system. But legal issues aside, Byford has continually recognized the moral imperative pushing the MTA to improve transit accessibility, and his appointment of Alex Elegudin as Transit’s lead accessibility guru last summer was widely applauded. It was thus a bit jarring last week to read a Daily News report that the MTA planned to end its popular e-hail pilot at the end of April. I didn’t have a chance to cover the launch of the program back in late 2017, but you can still read the MTA’s press release right here. At the start, the program was a pilot for 200 mobility-impaired Access-A-Ride customers to hail yellow or green taxis on demand, and it has been wildly successful. The pilot now covers around 1200 users and allows paratransit customers to book rides up to 24 hours in advance through an app. In the 15 months since the launch of the on-demand options, Access-A-Ride ridership has spiked while complaints about the service have dipped considerably. For January, the latest month for which data is available, complaints about paratransit were down by over 46% compared with January of 2018, and the MTA attributes the increased usage and relatively more content customers with the use of the e-hail service. When The News story broke last week, advocates went into overdrive, and the MTA denied it immediately. On Sunday, we learned that rather than ending the pilot, the MTA would in fact be extending the on-demand e-hail pilot through the end of the year while also implementing a new broker service designed to shift more Access-A-Ride trips to taxis and for-hire vehicle services. The news is good in the short-term for paratransit riders, but even in a press release touting the expansion, it’s not hard to read tea leaves. The MTA is worried about costs even as they promise to maintain a $2.75 fare for paratransit trips. The key of course are the words on sustainability. A $2.75 fare for paratransit is a significant subsidy, and the MTA’s costs for paratransit service have outpaced projections for some time. The agency is, of course, legally obligated to provide this service, but as with ADA mandates regarding station construction, the requirement is unfunded. In fact, Paratransit Services contracts are the single biggest non-labor line item in New York City Transit’s budget with a cost in excess of $450 million last year. That figure is expected to top $500 million within the next two years, and the MTA draws in only around 40% of that via reimbursements from the city and farebox revenue. It’s not clear how any of this — the pilot, the funding gap, the need for sustainability — resolves itself. Along with the extension of the on-demand program, the MTA announced a new broker service designed to move more Access-A-Ride trips to taxis which could reduce some of the services contracts, but by maintaining a $2.75 per-ride fare, the MTA will still be in the red by subsidizing taxi trips, albeit by less. It is, as always, a question of cost, and as the MTA gears up to study the cost efficiency of the e-hail program, the coming months will give us a roadmap of the MTA’s plans for Access-A-Ride. When New York City Transit embarked on the 29-stop station renewal program in 2011 targeting decrepit subway platforms outside of Manhattan, little did anyone realize how momentous this work would become. Last week, more than five years since starting the renovation that spurred a lawsuit — and after many more years of what many advocates have called a clear flouting of ADA requirements — the MTA lost the first round of this ongoing lawsuit as a federal judge ruled that the agency’s component-based repair work at Middletown Road, including replacement of a staircase without the addition of an elevator, was performed in violation of the Americans With Disabilities Act. The ruling is a sweeping one, as Judge Edgardo Ramos held that the MTA must install elevators when renovating subway stations unless an installation would be “technically infeasible,” rather, as the MTA has argued over the years, too costly, and it is one I and many disabilities advocates saw coming last year when federal prosecutors joined the lawsuit. Even with this ruling on the books, the court battle is far from over as the MTA plans to argue that, in this case, installing an elevator at Middletown Road was indeed technically infeasible, but the decision opens the MTA to significant liability and may require the agency to pursue an aggressive uptick in increasing the number of accessible stations throughout the city. The MTA, meanwhile, stressed the new philosophy pushed aggressively by Andy Byford: Accessibility is a new top priority. “The MTA is steadfastly committed to improving access throughout the subway, with a hard and fast goal of making 50 additional stations accessible over five years. We’re not wavering from that commitment,” MTA Chief External Affairs Officer Max Young said in a statement. The question now though is whether that the MTA can perform any substantive work at any subway station without triggering the requirement to include elevators. In fact, I believe the ruling now requires the MTA to build elevators during any rehabilitation work. Let’s dive in. (1) When a public entity alters an existing facility or a part of an existing facility used in providing designated public transportation services in a way that affects or could affect the usability of the facility or part of the facility, the entity shall make the alterations (or ensure that the alterations are made) in such a manner, to the maximum extent feasible, that the altered portions of the facility are readily accessible to and usable by individuals with disabilities, including individuals who use wheelchairs, upon the completion of such alterations. (2) When a public entity undertakes an alteration that affects or could affect the usability of or access to an area of a facility containing a primary function, the entity shall make the alteration in such a manner that, to the maximum extent feasible, the path of travel to the altered area and the bathrooms, telephones, and drinking fountains serving the altered area are readily accessible to and usable by individuals with disabilities, including individuals who use wheelchairs, upon completion of the alterations. Provided, that alterations to the path of travel, drinking fountains, telephones and bathrooms are not required to be made readily accessible to and usable by individuals with disabilities, including individuals who use wheelchairs, if the cost and scope of doing so would be disproportionate. As you can see, these two paragraphs are very similar and rely on rather arcane legal nuances. Paragraph (1) mandates public entities to make accessibility alterations “to the maximum extent feasible” when altering “an existing facility or a part of an existing facility used in providing” transit “in a way that affects or could affect the usability of the facility.” The only limiting factor is thus the “feasibility” standard. Paragraph (2) includes a carve-out the MTA has relied upon for years. If a public entity is undertaking an alteration that could affect usability of or access to a transit facility containing a “primary function,” the accessibility alterations may not be required “if the cost and scope of doing so would be disproportionate.” Whenever the MTA has argued that elevators would be too expensive to install, say, for example at Smith/9th Sts., this is the legal provision the agency cites in avoiding the ADA obligation. What, though, you may be wondering, does it mean to “affect the usability” of a transit facility? And what does it mean for an area to “contain a primary function”? The feds describe a primary function as “a major activity for which the facility is intended” and lists a broad array of examples including fare collection areas and platforms. It seems then that nearly any alteration to a subway station would affect an area containing a primary function, and perhaps, you may think, the MTA has a legal basis for avoiding spending on high-cost elevators. Judge Ramos however does not agree. As part of the lawsuit, the MTA had argued that Paragraph (2), rather than Paragraph (1), contained the proper standard. Ramos’ decision essentially asks, “Why not both?” and holds that any time a public entity alters a station in a way that affects the usability in any sense, Paragraph (1), and the obligation to ensure wheelchair access unless technically infeasible, applies. Thus, even if the installation of an elevator would be expensive, the MTA still must include one. Roberts, 542 F.3d at 369. Defendants’ replacement of the stairways at Middletown Road Station was clearly an alteration that affected the station’s usability under Roberts. The alteration thus triggered accessibility obligations under § 37.43(a)(1). Defendants argue that § 37.43(a)(2), not (a)(1), applies to the alteration because the renovations were to areas of the station that contained a “primary function.” But (a)(1) and (a)(2) are not mutually exclusive. Under § 37.43(a)(2), accessibility obligations are triggered when “a public entity undertakes an alteration that affects or could affect the usability of or access to an area of a facility containing a primary function.” An alteration can both affect the usability of a facility, which triggers (a)(1), and affect the usability of or access to an area of a facility containing a primary function, which triggers (a)(2). In addition to replacing the stairways, Defendants made extensive alterations to the mezzanine and platform floors of the station. Since these floors are where tickets are bought and trains are boarded, they clearly contain primary functions. Therefore, the Court agrees with Defendants that § 37.43(a)(2) also arguably applies to the renovations made at Middletown Road Station. The MTA’s request for the court to determine that Paragraph (1) did not apply to Middletown Road was rejected, and at this point, by nature of this lawsuit, the MTA cannot argue elevators are too expensive. Rather, the agency must rely on the argument that doing so is “technically infeasible.” The court will hear arguments on just that very question regarding Middletown Road in the coming months. Now, all of these regulations and legal analysis may make your eyes gloss over, but it’s important. For all practical purposes, based on this ruling, whenever the MTA does anything substantive to a subway station, the Paragraph (1) obligations to install elevators will apply. Thus, any of the stations that were recently renovated via the ESI program are likely in violation of the ADA, and any other component-based stations that were renovated without full accessibility are likely in violation of the ADA as well unless the MTA can prove elevator installation would be technically infeasible and not just cost-prohibitive. As you can imagine, this will cause some consternation for station rehabs going forward. While the MTA has pledged to meet an obligation to make 100 Key Stations fully accessible by the end of 2020, any minor work to spruce up stations could be thrown in doubt. I believe the MTA could craft an appeal as the analogy Ramos made between renovations of a condo — which sees a true increase in value due to new floors and bathroom lighting — is a weak one and the crux of the legal decision. After all, the idea that a like-for-like replacement of a staircase affects or otherwise alters the usability of a subway station seems to be a stretch. But the feds have long been clear that any post-1991 renovation to old structures grandfathered into the ADA were supposed to include full accessibility work, and even with a basis for appeal, the MTA will face an uphill battle to overturn this case. Whether the court will require the MTA to install elevators at all stations they’ve renovated in recent years remains an open question. Meanwhile, since the component-based station rehab project kicked off, the MTA has significantly changed its thinking on accessibility. Andy Byford has expressed public displeasure that only 24 percent of stations are accessible and has promised 50 additional accessible stations within the next five years as part of his unfunded Fast Forward plan. That’s a laudable goal and one that may be accelerated as any work of substance the MTA performs on subway stations will now trigger ADA obligations. Still, as always, without cost control, this lawsuit could carry a steep price tag for an agency that can’t figure out how to install elevators for a reasonable price. If it takes the full weight of the judiciary to force the MTA to cut costs, so be it. 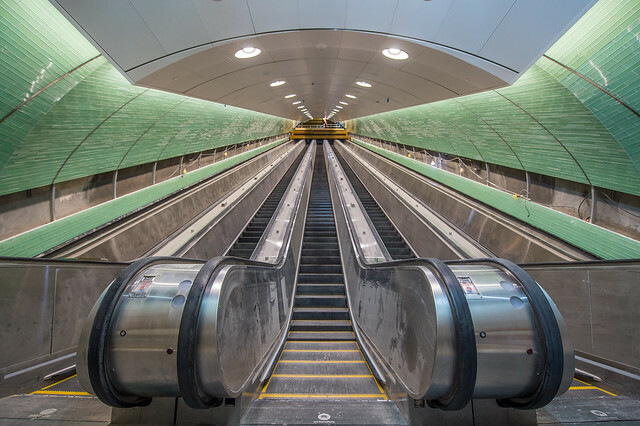 We’ll all be better off for it as accessible stations improves transit access for anyone who has to carry bags, push strollers, deal with injuries or grow too old to climb stairs. It’s high time for the MTA to work toward fully accessible stations throughout the city, judicial opinion or otherwise. Speaker Corey Johnson laid out the case for municipal control of transit with a sweeping and comprehensive approach to streets in a speech and 100-page report on Tuesday. City Council Speaker Corey Johnson thrust himself into the debate over the future of the MTA in a big way on Tuesday during his State of the City speech as he called for the city, and not the state, to control its subways and buses. Instead of the MTA, Johnson envisions a Big Apple Transit Authority to oversee transit and the city’s bridges and tunnels while introducing top-to-bottom reforms and introducing congestion pricing to NYC. The proposal to unwind the MTA is the centerpiece of a companion report [pdf] that stretches to over 100 pages and includes a truly comprehensive vision change New York City streets by prioritizing mass mobility over private automobile use. It calls for significant investment in bus prioritization technology and a massive increase in bus lanes; planning for a truly comprehensive network of safe bike lanes; and a reduction of private automobile ownership by 50% over 30 years. It is, in nearly every sense, a rebuke of de Blasio Administration’s lackluster approach to transit and a welcome wrench thrown in the ongoing discussion over the MTA. As Bill de Blasio falls for Cuomo’s bait-and-switch on MTA reform while showing his willingness to cede more city input on transit to the state as part of the 10-point deck-chairs-on-the-Titanic proposal announced last week, Corey Johnson has created a vision for a more mobile New York freed from the tyranny of the car. With 104 pages to get through, it’s going to take some time to digest this report, but my initial take is that it is extremely thorough and well done. We knew Johnson had been working on this report for a while, and I was worried that calls for local control would gloss over the issue of the lack of city taxing authority to compensate for lost state revenue. But Johnson and his team devote significant attention to the need for more city financial power, and he adroitly couples this call with a lengthy discussion on all aspects of transit reform, from capital procurement process to labor costs and work rules, and continued support for commuter railroads and regional planning. I’ll have a more detailed examination of the ins and outs of the reports in upcoming posts. For today, let’s run through some highlights. As I see it, the proposal includes an easy part and a hard part. Let’s start with the har part — which is of course the local control of the buses and subways. As I mentioned, Johnson begins with a call to bring New York City Transit, MBSTOA, MTA Bus, the Staten Island Railway, the former Triborough Bridge and Tunnel Authority and a portion of MTA HQ under one entity city-controlled entity called Big Apple Transit. The BAT would be a city agency on par with NYC DOT, under the auspicies of a Mobility Czar (akin to today’s DOT Commissioner) and fully controlled by the mayor. A board would oversee the BAT, and the board would be drawn from New Yorkers who use transit. The BAT, Johnson said, would be modeled on the Water Board, run as part of the city budgeting process and subject to outside scrutiny. The capital planning process would shift to a 10-year scope with far more transparency than currently in place. In terms of finances, Johnson gets very creative. The MTA would survive to retire its massive debt, and thus, revenue would flow through BAT to the MTA until the debt is gone. But going forward, BAT would issue its on bonds, a move Cap’n Transit was particularly fond of in early reactions. Congestion pricing and increase in city taxation powers to offset lost state revenue are required, and Johnson wants to exploit intricacies of the Trump tax law to impose levies that remain fully deductible for corporations under federal law. Again, this is complicated, and I’ll have more on that in upcoming posts. This is the crux of the proposal, and it lives or dies with the city’s ability to raise sufficient revenue without relying on fare hikes. Johnson then runs through the litany of typical transit reform initiatives: end inefficient procurement; address labor costs; implement work rule reforms, etc. He promises to support regional planning and commuter rail (including free up additional money for commuter rail investment), and he issued a nod to sustaining and building out the Fair Fares program. Now, all of that requires cooperation and willing partners in Albany. We’ll come back to that, but let’s run down the easy part. To one degree or another, the city could do just about everything else Johnson proposed nearly immediately. It is, he says, a “master plan for city streets” designed to “Bring cohesion to what is now a patchwork system of upgrades,” clear shots fired across the bow of the de Blasio Administration. To that end, Johnson wants to focus on buses. He wants to install at least 30 miles of truly dedicated and physically separated bus lanes a year; introduce signal priority technology to at least 1000 intersections per year; and implement a bus network redesign by 2025. He calls for a comprehensive livable streets program with more plazas and shared streets, accessible intersections citywide by 2030, and at least 50 miles of actually protected bike lanes a year with a fully connected bike network by 2030. “We need to break the car culture,” Johnson said to loud applause during his speech. This involves reducing city vehicle usage by 25 in five years and reducing citywide car ownership by half by 2050. These are laudable goals and ones that have for far too long been lacking city transportation planning. These are also goals, as I mentioned, completely within the scope of the city’s current powers. A plan this large and in-depth demands a reaction, but it also demands careful consideration. Allies and opponents won’t materialize overnight, but many in New York chimed in today with various reactions. The Transit Literati who have grown sick of Gov. Cuomo and the opaqueness and problems of state control (me included) seemed to like the plan, but the notable reactions were from politicians saying not much of anything. “The City already owns the New York City transit system,” a Cuomo spokesperson said. The governor is essentially daring the city to go nuclear in canceling the state’s lease of the subways, but this would leave the city with an inoperable asset and no funding plan. It’s a sniveling and conniving response at best. Leroy Comrie, one of the State Senators tasked with MTA oversight, also didn’t seem amenable to the idea. “As a former city council member, I understand the desire for people to be parochial about their communities, but as a now-state official looking at the needs of the entire state and the impact of congestion on the entire metropolitan area, I understand we have to figure something out,” he said. I don’t know what’s parochial about good transit governance or the state’s largest city controlling how its residents and workers get around, and I question how much leeway we give Comrie, a five-year Senator and 18-year New York politician, to “figure something out” because he certainly hasn’t done much figuring out in two decades. I’m also still waiting to hear a strong case for extra-regional control of New York City Transit, but I digress. Similarly, Carl Heastie, when told that Johnson wants the city to pass congestion pricing if the state does not, had a terse comment: “We believe [congestion pricing] falls within the purview of Albany.” If anything, these voices from Albany show that holding onto power simply for the sake of having power is important, and these men will give up a power they don’t really need and shouldn’t have easily. A few advocates unfortunately echoed these sentiments. While the Straphangers Campaigned praised Johnson and issued a call for “serious debate,” others did not want to change the subject away from congestion pricing. “Let’s deal with getting the MTA funded first, and then we can discuss how and who controls it after we get through that hurdle,” Nick Sifuentes, head of the Tri-State Transportation Campaign, said. In comments to Politoco, the Riders Alliance had a similar view and seemed almost annoyed by a truly comprehensive rethinking of transit. “We’ve worked for years to demonstrate to everyone that it is Cuomo’s MTA, that the MTA is in fact run by the state and controlled by the governor. We’re at the point now where that’s been acknowledged. Now the challenge is to get funding out of the state,” Danny Pearlstein, the group’s policy director, said. The mayor’s statement and those from the leading advocacy groups seem to indicate that too many are putting all their MTA eggs in the congestion pricing basket. They seem to view congestion pricing as an “immediate fix” to the MTA’s woes, and this is misguided at best and dangerous at worst. Congestion pricing will solve other city problems while providing a new revenue stream for transit investment, and it’s an outcome NYC desperately needs. It will not “fix” the MTA; only aggressive reform and careful oversight will do that. Congestion pricing has to be implemented carefully and properly to work, and tying it into some magical MTA fix will harm both the efficacy of congestion pricing and real MTA reform efforts. To that end, this is a plan worth probing and likely one worth pursuing. At a bare minimum, a reorganized mess winds up more efficiency than the disorganized mess it replaces, and even modest gains in all the areas Johnson’s proposal tackles would realize huge benefits from the transit system and city at large. If this plan works, it could go a long way toward solving operations, governance and spending issues that plague the MTA. It’s certainly worth debating. Ultimately, Corey Johnson threw a bomb into a complacent crowd of people who have had years to solve the problem and have done nothing, and they don’t know how to react. That crowd includes seasoned politicians, transit advocates and outside authorities on how the MTA is run. Corey Johnson has succeeded where Cuomo, de Blasio and countless others before them have failed: He has shaken up the status quo and introduced a viable, new proposal into the mix. We’ll see where it goes from here.